In Windows 10 (Insider Preview build number 14371 or later), you can link your Microsoft account to the Windows 10 digital license (formerly called digital entitlement) on your device. This can help you reactivate Windows using the Activation troubleshooter if you make a hardware change later, such as replacing the motherboard. 1. Select the Start button, select Settings > Update & security > Activation > and then select Add an account. You must be signed in as an administrator to add your Microsoft account. 2. Enter your Microsoft account and password, and then select Sign in. You’ll also need to enter the password for your local account if the Microsoft account you entered isn’t a connected account. 3. 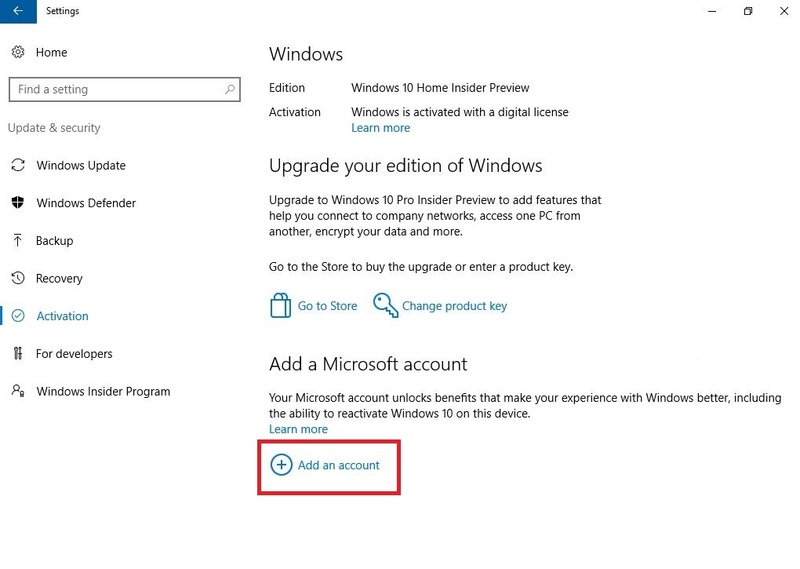 After you add your Microsoft account, you’ll see Windows is activated with a digital license linked to your Microsoft account on the Activation page. Note: If you’ve already added your Microsoft account to your device, you’ll see Windows is activated with a digital license linked to your Microsoft account on the Activation page automatically. 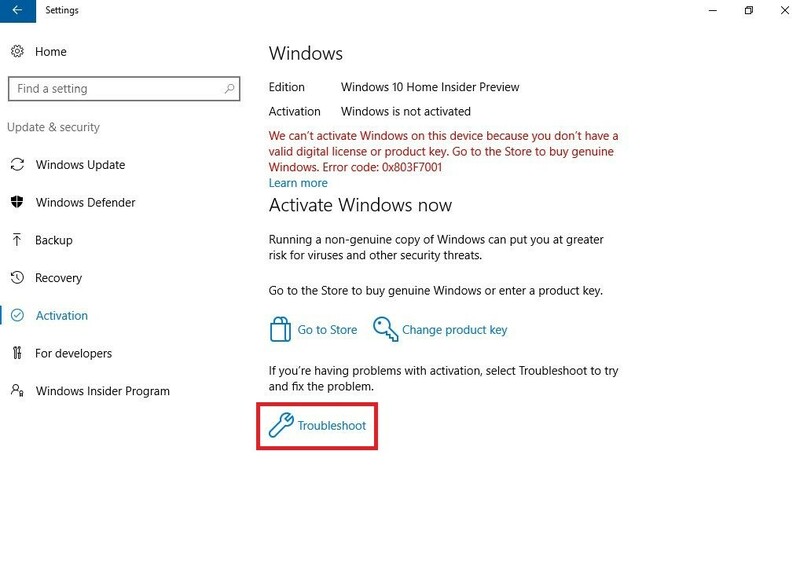 After you add your Microsoft account and link it to your digital license, you can use the Activation troubleshooter to help reactivate Windows after a hardware change. Note: If you didn’t add your Microsoft account and link it to the digital license on your device, you won’t be able to reactivate Windows after a hardware change using the Activation troubleshooter. 1. Select the Start button, select Settings > Update & security > Activation, and then select Troubleshoot. You must be signed in as an administrator. 2. 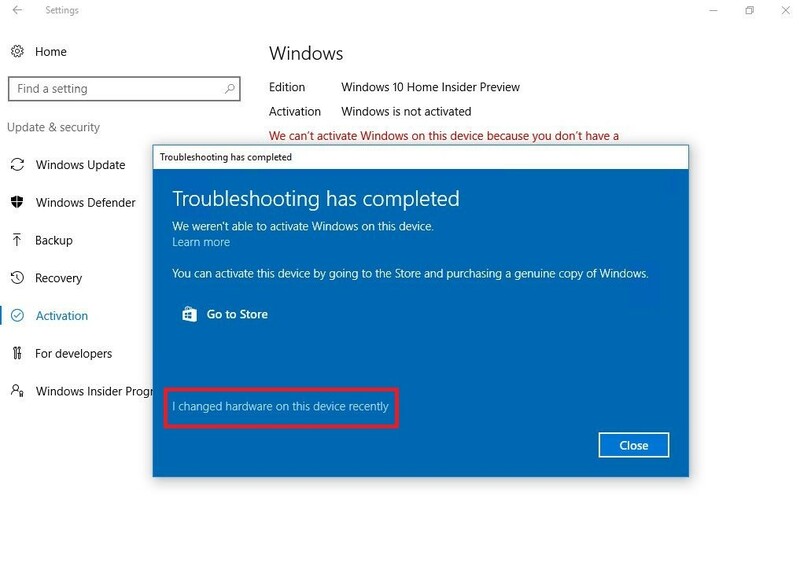 The troubleshooter will show a message that Windows can’t be activated on your device. Select I changed hardware on this device recently. 3. Enter your Microsoft account and password, and then select Sign in. You’ll also need to enter the password for your local account if the Microsoft account you entered isn’t a connected account. If you’ve already added your Microsoft account to your device, you can skip this step. 4. From the list of devices that are linked to your Microsoft account, select the device that you’re currently using, select the checkbox next to This is the device I’m using right now, and then select Activate. 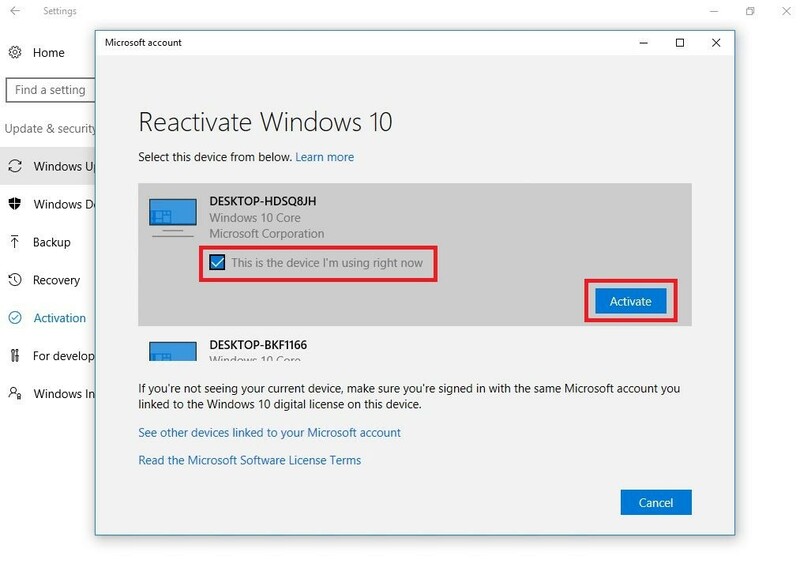 If you don’t see the device you’re using in the list of results, make sure that you’re signed in using the same Microsoft account you linked to the Windows 10 digital license on your device. 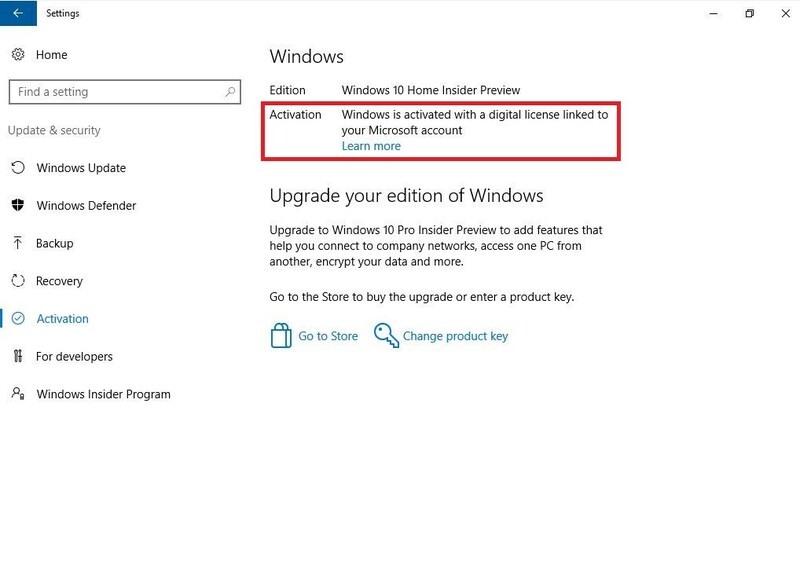 · The edition of Windows on your device doesn’t match the edition of Windows you linked to your digital license. · The type of device you’re activating doesn’t match the type of device you linked to your digital license. · Windows was never activated on your device or the device is not running Genuine Windows. · You reached the limit on the number of times you can reactivate Windows on your device. · Your device has more than one administrator, and a different administrator already reactivated Windows. · The edition of Windows on your device is not Windows 10 Home or Windows 10 Pro. · Your device is managed by your organization and the option to reactivate Windows isn’t available. For help with reactivation, contact your organization’s support person.